You are the reason why I have sleepless nights. You are the reason why I tend to hold my pillow tight. 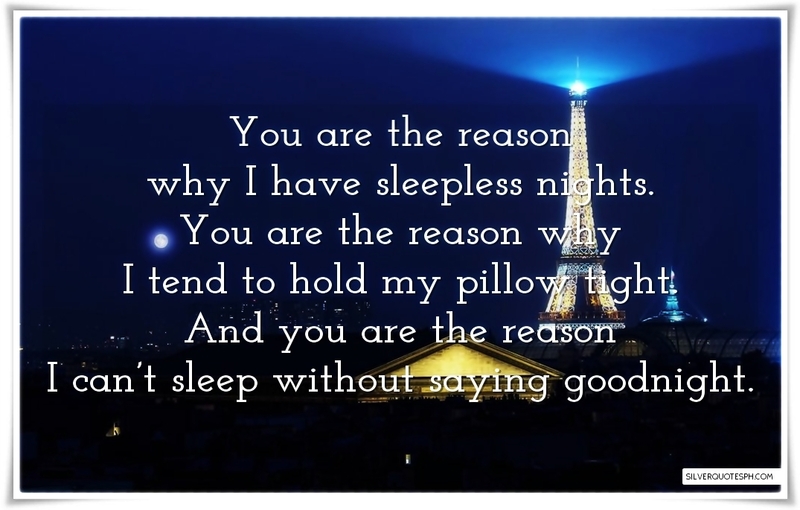 And you are the reason I can’t sleep without saying goodnight.